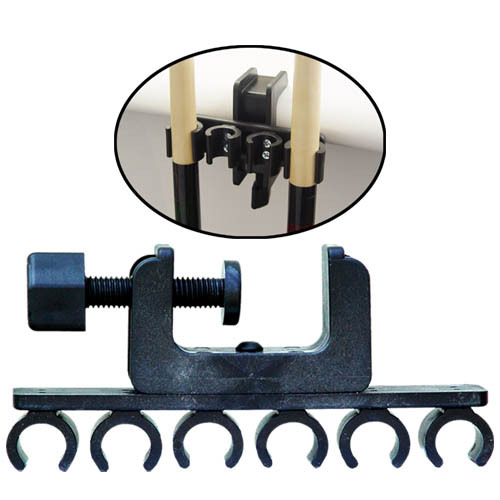 The Porper cue clamp is a great item for all pool players to have. The cue holder swivels and locks into place, so you can clamp it onto just about anything. It is made of a heavy-duty black ABS industrial plastic. The clips are made of soft rubber with no sharp edges that will scratch your cue. This holder will safely keep 6 pool cues out of harm?s way.